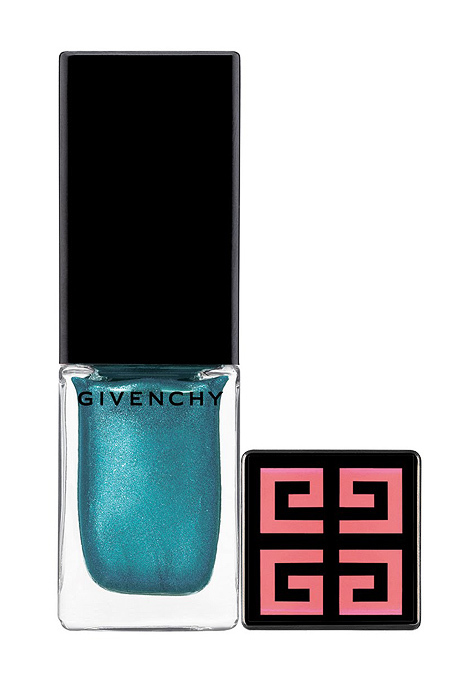 Givenchy’s Summer 2010 collection includes this beautiful turquoise addition to the popular Givenchy Phenomen’ Eyes lineup of mascaras. Available in Europe only, it’s a gorgeous looking shade no? Available from the 1st May exclusively at Harrods, with a nationwide roll out at counters everywhere from the 15th May – thanks to BBB for the release info. That mascara wand is certainly intimidating looking! But yay for turquoise mascara! I love Phenomen’eyes, it’s one of my HG mascaras (with Guerlain Le 2 being the other one) and I will most certainly get this turquoise beauty! Have you seen the purple one that’s out this spring, it’s so pretty too! I love the look of that polish!!! wow everything about it looks awesome! love the nail polish too! So jealous it looks fabulous. Let us know how the mascara turns out. I usually avoid colored mascara because it makes my eyes itch for some sad reason. Ooh! Jealous 😉 Be happy you DO get the rare exclusive, us Canucks never do!